Draft: 2006, Cleveland Indians, 19th rd. Is married.....wife's name is Carlie.....the couple has two daughters, Makenzie and Myla...Graduated from Whitehouse (TX) High School, where he also played basketball and football...Attended Angelina (TX) Junior College before transferring to Texas Tech for his junior year... Enjoys duck and deer hunting.....follow him on Twitter (@jtomlin43). On the 10-day disabled list from 7/10-8/22 with strained right hamstring. Penned another solid season, spending the entire campaign in the rotation around a one-month stint on the disabled list in August with a strained hamstring...Once again led the Major Leagues in fewest walks per 9.0 IP (0.89, 3rd-lowest mark in franchise history) and strikeout-to-walk ratio (7.79, marked a new franchise record) among pitchers with at least 140.0 IP...Walked just 14 batters all season (585 batters) and surpassed the double-digit win mark for the third time in his career. It was tale of two seasons for Josh as he went 4-9 with a 6.17 ERA over his first 16 starts (86.0IP, 117H, 59ER, 11BB, 64SO, .325 avg) thru July 1 before going 6-0 with a 3.11 ERA over his last 10 starts after July 6 (55.0IP, 49H, 19ER, .240 avg, 3BB, 45SO)... In six starts during Sept/October, he went 3-0 with a 3.52 ERA (12ER/30.2 IP)...Was lifted after 4.0 innings of a hitless start at Chicago-AL on July 30 with a left hamstring strain, and spent the next month on the disabled list, July 31-August 31. Went 1-3 in the month of June with a 6.75 ERA (19ER/25.1IP)...Finished the month of May with a 1-3 record and a 3.58 ERA (13ER/32.2IP)...Lone May win came in the 5th complete game of his career on May 28 vs. Kansas City when he allowed one run on six hits while striking out three batters... Went 2-3 with an 8.87 ERA in five April starts, marking his highest career ERA for the month of April. After allowing a season-high three walks in his start vs. Minnesota on June 25, Tomlin saw his franchise record streak of 45 consecutive starts allowing two-or-fewer walks come to an end...Streak dated back to September 26, 2015, and was the longest active streak in Major League Baseball at the time...Tomlin last allowed four walks on August 27, 2010, after which he began a still-active streak of 129 straight starts allowing three-or-fewer walks, ranking as the longest streak in club history as well as the 3rd-longest stretch in MLB history. In three starts during the Indians' historic 22-game winning streak, Tomlin went 2-0 with a 2.76 ERA (5ER/16.1IP)...Induced 18 double play ground balls, tied for 13th-most in the American League... As a starter, walked just 34 of 1,307 batters (2.6%) since the start of 2016 (Rank: 1st in MLB)...Did not walk a batter his last 19 IP (3 starts)...Batters hit .318 (67/211) off him with runners on base, .341 (47/138) when he was behind in the count and .339 (37/109) with RISP. Had a solid season in the back-end of the Indians rotation, amassing career-bests in wins, innings, starts and strikeouts on his way to setting a club record for strikeout-towalk ratio…Finished the season on a strong note over his last four starts after compiling an ERA of 10.00 in August to finish second on the club in wins…Did not walk a batter of his last 31.0 innings (last walk 8/25) and walked just 2.8% (20/722) of his batters faced...Won a spot in the rotation out of spring training and made three April starts after off days and rain outs pushed his turn back (season debut came on Apr. 16 vs. NYM)…Went 3-0 with a 3.18 ERA in 3 starts (17.0IP, 14H, 6ER) and went on to win his first 7 decisions of the season thru May 24, becoming the first Indians pitcher since Dennis Martinez (9-0) in 1995 to start a season 7-0… Was dealt his first loss of the season on May 30 against Texas after allowing eight runs (four earned) on nine hits with no walks and one strikeout in 3.2 innings of work, which at the time tied the second-shortest start of his career…Cliff Lee started his Cy Young-winning 2008 campaign at 6-0...Was dealt his second loss of 2016 on July 6 against Detroit in Cleveland...The loss snapped a streak of six consecutive quality starts from June-July 1 as he went 2-0 with a 2.60 ERA in 5 June starts (10ER/34.2IP)... Went 9-2 with a 3.51 ERA (39ER/100.0IP) in 16 pre All-Star break starts, his nine wins were his most before the All-Star break since he won 10 games before the break in 2011 and his 3.51 ERA was his lowest career first-half ERA…Earned the win on July 17 at Minnesota to improve to 6-0 with a 2.44 ERA (17ER/62.2IP) in his first nine road starts this season...Joined CC Sabathia in 2001 (6-0, 4.50 ERA) as just the second Indians pitcher over the last 50 seasons to stay undefeated thru his first nine road starts in a season (Elias)…Posted a 3.73 ERA in July (5GS, 13ER/31.1IP)...Tomlin posted the worst month of his career in August, registering an 11.48 ERA (34ER/26.2IP) in six starts, including a career-low 1.2IP on August 30 vs. Minnesota…Did not start from August 31-Sept. 13 save one relief appearance on Sept. 5 vs. Houston (1.0IP, 1H, 0R, first relief outing since Sept. '14) to post a mark of 2-1 with a 1.75 ERA over his final 4 starts of the season starting on Sept. 14…His overall ERA of 1.69 in Sept/Oct was the third-lowest mark (min. 25IP, 26.2IP, 21H, 5ER, 0BB, 10SO) in Major League Baseball behind National Leaguers Clayton Kershaw (1.29) and Jon Lester (1.48)…Worked a career-high tying four straight starts over that span with two-or-fewer ER allowed while going at least 5.0IP...Was fourth among A.L. pitchers with 16 putouts and on the year had 41 total chances…Left-handed batters had an on-bsae pct. of only .247 (MLB Rank: 7th of 142 qualified SP; League Avg: .327)…Lefties hit just .229 (67-292) off him for the year with a .685 OPS…Went 3-0 with a 2.43 ERA in 5 starts vs. the KC Royals this year (9ER/33.1IP) and on the year was 10-2 with a 3.26 ERA in 16 starts vs. the A.L. Central (36ER/99.1IP)…Allowed only three steals (1CS)… Batters hit .309 (69-223) off him with runners on base, .299 (35-117) with RISP and .215 (55-256) when behind in the count....Went 2-1 with a 4.58 ERA in 4 Postseason starts (17.2IP, 15H, 9ER, 5BB, 11SO)...Won deciding Game 3 of ALDS in Fenway Park and Game 2 of the ALCS vs. Toronto. Josh spent the first four months rehabbing after undergoing right shoulder surgery in March...Was activated from the 60-day DL on July 31 and optioned to AAA Columbus where he made one start before joining the Major League club on August 15...Solidified the back-end of the rotation, going 7-2 with a 3.02 ERA in 10 starts/appearances from August 15 thru the end of the year (65.2IP, 22R/ER, 13HR, 8BB, 57SO, .195 AVG)... After joining the Indians on Aug. 15, Tomlin ranked among A.L. pitchers in average against (3rd), opponents on-base percentage (1st, .227), strikeout to walk ratio (1st, 7.13), wins (T1st), hits-per 9.0 innings (5th, 6.44), innings pitched (3rd), strikeouts (T10th) and WHIP (1st, .084)...The right-hander tossed 6.0+ innings in all but three starts and tallied 5-or-more strikeouts in 9 of his 10 outings this year...His 7 wins this season marked his most wins in a single season since finishing 12-7 in 2011...The right-hander made 6 rehab starts and one minor league start in the Indians Player Development System...Made one rehab start each with the AZL Indians (July 5), Akron (July 10) and Mahoning Valley (July 15)...Also made three rehab starts with Columbus from July 20-30...Over his 6 rehab outings, the former Texas Tech Red Raider went 1-2 with a 3.42 ERA (23.2IP, 24H, 9R/ER, 1HR, 4BB, 17SO)...Was activated from the 60-day DL on July 31...Had the best month of September in his career, going 3-1 with a 3.00 ERA (11ER/33.0IP) across five outings, holding opponents to a .197 clip (24-for-122)...Tossed 2 complete games in the month of September, his third and fourth career CG's, respectively...Scattered 4 hits in 9.0 innings of work in an 8-1 victory against Detroit on Sept. 4 (9.0IP, 4H, 1R/ER, 1BB, 6SO), his first CG since June 28, 2014 at Seattle...Logged his second complete game of 2015 in a 2-0 loss against Kansas City on Sept. 15 at Progressive Field (9.0IP, 4H, 2R/ER, 1HR, 0BB, 6SO)...Marked the first time that the right-hander suffered a loss in a complete game effort, and snapped his longest single-season win streak at 5 consecutive games that stretched from Aug. 20-Sept. 9 (2.86 ERA, 34.2IP, 22H, 11R/ER, 8HR, 3BB, 33SO, .175 AVG)...Recorded 5+ strikeouts in each of his first 8 consecutive outings to begin his season, the longest streak by an Indians hurler to begin a season since Justin Masterson pulled the trick in his first 13 outings in 2013...Tomlin held opposing hitters to a .195 clip (47-for-241), limiting lefties to a .156 average (19-for-122)...His .195 average against was the 8th-lowest mark by any A.L. hurler that has logged 50.0+ innings of work in 2015... Allowed just 9 hits with runners on (.164, 9-for-55) and 6 hits (.240, 6-for-25) with runners in scoring position...Signed a two-year contract extension on Jan. 26 with a club option for 2018. Josh spent the season between AAA Columbus and starting Indians rotation before ending the season in relief...Was with Cleveland from May 6-July 24 and again from August 5 thru the end of the season...Around those stints he opened the season in Columbus and sp ent two weeks there in July/August, going 2-1 w/a 2.25 ERA in 6 starts (40.0IP , 26H, 10R/E R, 10BB, 33K ), including a 20.0 inning scoreless streak from April 20-May 1, capped by a 9.0-inning, 3-hit shutout (0BB, 10K ) in his start at Durham on May 1 before his May 5 p romotion to Cleveland...Josh posted the 10th-lowest ERA in the International League and was 6th in innings pitched thru May 5. Went 2-1 w/a 2.89ERA over his first 3 starts with Cleveland (18.2IP, 15H, 6ER), notching his first win since July 5, 2012 vs. TB in his 2014-debut of May 6 vs. MIN (6.2IP , 4H, 1R/ER) ... Appeared in emergency relief on May 21 vs. Detroit, pitching the last 3.0IP of a 13.0 inning, 11-10, balk-induced win (3.0IP , 2H, 1R/E R, 1BB, career relief-high 6K ) ... He was scheduled to start the nex t night at Baltimore (the 6 relief SO were a 2014 club-high) ... Season lost some footing after that as he went 1-4 w/a 5.35 E RA in 6 starts (33.2IP , 44H, 29R/20E R) from May 26-June 22 that took his E RA from 2.91-4.39. Enjoyed a career-best start on Saturday, June 28 at Seattle, one-hitting the Mariners, while fanning a career-high 11 batters (0 walks), recording the only comp lete game/shutout of his career (Kyle Seager 1B in 5th inning) ... Dating back to 1914, T omlin's effort was just the 21st game (there are now 22) in Major League history that a starting p itcher threw CG shutout, allowed one or fewer hits coupled with at least 11 K 's and zero walks...The only other game in club history (17,715 games prior to Tomlin's outing dating back to 1901) under such p arameters was Len Barker's p erfect game on May 15, 1981 vs. Toronto (9.0 IP, 11 SO) ... According to Elias, Tomlin's effort was just the 3rd such game in which a Tribe pitcher faced one over the minimum (Barker and 1977 Dennis Eckersley no-hitter) in a CG SHO w/ double-digit strikeouts (Feller had 3 no-hitters and 12 one-hitters)...Kershaw (6/18 vCOL) and Bumgarner (8/26 vCOL) both did it in 2014...Was the first CG one-hitter by an Indians pitcher since LHP Billy Traber on July 8, 2003 vs. NYY. Followed up the one-hitter by going 0-2 w/ a 6.45 E RA in July (22.1IP , 31H, 16E R) before being sent to Columbus on July 24 ... Was recalled again on August 5 and made a p air of sp ot starts on August 5 (vs. CIN, 4.1IP , 8H, 6R/5E R) and August 13 vs. Arizona (G 2, 5.1IP , 4H, 0R)...Appeared in 8 games in relief over his second stint and for the year out of the 'pen he was 2-1 w/a 6.75 E RA in 9 games (10.2IP , 17H, 8E R)...As a starter he was 4-8 w/a 4.53 E RA in 16 starts (93.1IP , 103H, 47 ER)...Batters hit .309 (51-165) off him with runners on base and .333 (27-81) with RISP. Josh spent the first four months of the 2013 season rehabbing from August 2012 right elbow reconstruction before making rehab appearances for the Rookie Arizona club, Class-A Lake County, AA Akron and at AAA Columbus prior to his August 24 activation and option to Columbus....Rehab began on July 26 at rookie Arizona in Goodyear...Combined this year at the Minor League level Josh was 2-0 with a 1.65 ERA in 10 games/8 starts (27.1IP, 17H, 5ER, 0BB, 21K) and at Triple A Columbus posted an ERA of 2.40 in 3 starts (15.0IP, 12H, 4ER, 0BB, 11K, .222AVG)...Promoted to Cleveland after the Minor League season ended on September 3 and made his first Major League appearance since August 2012 in relief on September 12 at Chicago-AL, working 2.0 scoreless innings while allowing 2 hits in his lone Major League appearance of 2013. Had an inconsistent, injury-filled season that eventually led to season-ending right elbow reconstruction on August 22 and will delay all or most of his 2013 campaign....Underwent right elbow surgery on August 22 in Anaheim, CA by Dr. Lewis Yokum....Was placed on the 15-day DL on August 13 and missed the remainder of the season...Was on the DL earlier in the year, May 8-27, with right wrist tendonitis. Did not record an ERA under 4.42 in any month of the season and went a combined 3-6 with a 6.36 ERA (58.0IP, 77H, 41ER, 22K) in June and July and was removed from the rotation after his start on July 27 at Minnesota (4.0IP, 10H, 8R/ER)...Allowed a career-high tying 3HR in his shortest career start on June 25 at New York-AL...Did have some highlights, working a season-high 8.0IP on April 19 at Seattle in a game started by Felix Hernandez and fanned a career-high 8 batters on May 7 vs. Chicago-AL (night game)...Has gone at least 5.0 innings in 49 of his 54 MLB starts. Made first career MLB relief appearance on April 14 at Kansas City following ejection of starter Jeanmar Gomez allowing 5 R/4 ER over 3.2 IP...Moved to bullpen on July 31 at KC (2.2IP, 3H, 1R/ER)...In relief this year was 0-0 w/11.25 ERA in 5 games (12.0IP, 18H, 15ER)...As a starter was 5-8 w/a 5.72ERA in 16 starts (91.1IP, 108H, 58ER)...Best month was May (4.42ERA, 3 starts)...Allowed 10 runs over his last two appearances of the season (4.2IP, 8H, 10ER), including 7 runs (7ER) in 1.1 of relief IP on August 12 vs. Boston before being shutdown for good with elbow soreness and eventual surgery....Batters hit .333 (59-177) w/runners on and .340 (34-100) w/RISP....ERA in the first inning was 12.38 (16.0IP, 31H, 22R/ER). Had an successful season despite not pitching after August 24 due to right elbow inflammation...At the time of his DL stint he was tied for 9th in the AL in wins (12)...Built on the consistency he showed at the end of 2010, going at least 5.0 innings in his first 25 starts of the season, giving him at least 5.0IP in his first 37 consecutive Major League appearances, a modern day Major League record...His 37 straight starts of at least 5.0IP to begin a career matched former Indian John Farrell (1987-88) for the most consecutive starts since 1919 to start a career....Overall he went at least 6.0IP in 23 of 26 starts on the season...The 5.0IP streak ended in his final start (4.2IP) of the season vs. Seattle on August 24.... First pitcher since at least the start of divisional play (1969) to have 0 SB attempts against and qualify for ERA title...Overall his .632 winning % (12-7) was 8th in the American League...Also finished 1st in fewest walks allowed per 9.0IP (1.143BB per 9.0IP), 7th in WHIP (1.08), 4th in walk to strikeout ratio (4.238), 6th in baserunners allowed per 9.0IP (181BR/165.1IP) and tied for 9th with 24 home runs allowed...Walked 1 or less in 23 of 26 starts and recorded zero walks in 11 of 26 starts..The 1.143 walks per 9.0IP was the 4th lowest single-season mark in club history...His 1.08 WHIP (walks+hits/IP) was lowest by an Indians starter since Gaylord Perry in 1974 (1.02) and 24th lowest single-season total in club history (Lower than Cy Young winners Lee/Sabathia)...15 of his HR were solo HR...Won his first decisions in April, going 4-0 w/a 2.45ERA in 5 starts (33.0IP, 22H, 9ER)...He and Masterson both started 4-0 by game #23, the first time two Indians starters did that since 1988 (Swindell/Candiotti)...Earned 7th win on June 1 in Toronto,as he struck out a career-high 7 batters... Earned his 10th win of the year on July 4 vs. the NY Yankees, a 6-3 Indians win as he became the only Cleveland pitcher in club history and only MLB pitcher since 1919 to pitch at least 5.0IP in each of his first 29 games (7.0IP, 3H, 2R/ER, BB, 5K)...ERA from June 1st on was 5.24 (99.2IP, 108H, 58ER)...Went 1-2 w/a 5.28 ERA in 5 August starts (30.2IP, 35H, 18ER) and went a season/career-low 4.2IP in his final start of 2011 and 38th Major League start after going at least 5.0IP in his previous 37 games/starts...Last start came on August 24 vs. Seattle (4.2IP, 11H, 6R/ER)...Placed on the 15-day DL for the first time in August 26 w/right elbow inflammation...Pitched a simulated game on Sept. 20 w/o issues and has no restrictions heading into 2012...Tomlin went 12-2 in his first 15 career starts at Progressive Field... According to Elias, Tomlin just the 2nd MLB pitcher in the expansion era to win at least 12 of his first 15 home starts... Since 1961 only other pitcher to do so is LaMarr Hoyt who was 12-2 in his first 15 starts at Comiskey Park for White Sox from 1980-1982...Went 8-3 w/a 3.58 ERA in 13 home starts in 2011...Did not walk a batter in 24.1IP from June 12 thru July 4th...His .226 average against righthanded hitters was 16th lowest in the AL and his .274 on-base% allowed was 6th lowest in the AL...1st inning ERA was 1.38 (26.0IP, 14H, 4R/ER). Split the season between AAA Columbus and the big leagues, making 12 impressive Major League starts from July 27through the end of the Major League season...Tomlin made one relief appearance in spring training going two inningsand did not allow a run with one strikeout...Was not invited to big league camp and was assigned to the Columbusroster at the end of spring training....Made his first start of the season on April 18 in the second game of that day's doubleheader at Louisville (ND, 3.0IP,3H, 0R/ER, BB, 2K)...Got his first win of the season on April 23 at Toledo by pitching 3.0 innings of relief (0H, 0R, B,2K)...Went 5-0 in 10 games/8 starts from 4/12-6/1 with a 1.63ERA (49.2IP, 34H, 9R/ER, 9BB, 32K, .194avg)...Allowedthree or fewer run in each of his 10 appearances...Was a late addition to the Triple-A All-Star Game in Lehigh Valley (1.0IP, 0R)...As a starter, was 7-3 with a 2.41ERAin 17 games with one complete game...100.2IP, 79H, 29R/27ER, 29BB, 76K...Triple-A batters hit just .212 (83-391)off him this year with 11HR...LH hitters batted .246 (44-179) off him with 8HR while righties hit .184 (39-212, 3HR,.485OPS)...Batters hit .182 (25-137) with runners on and .190 (15-79) with RISP...At time of his July 27th call-up, ledInternational League starters with a .215 opponent average (79-368) and was tied for the fewest baserunners per 9.0IPratio (9.83)...Ranked 2nd in ERA (2.68), WHIP (1.08) and overall opponent average (.212)....Won his big league debut on Tuesday, July 27th vs. the New York Yankees in Cleveland, a 4-1 win over the Yankeesand CC Sabathia...7.0IP, 3H, 1R/ER, 0BB, 2K, faced the min thru 7.0IP before departing in the 8th...According to Elias,the performance by Tomlin (3 baserunners in 7.0IP) was only the 2nd time in club history an Indians pitcher allowed 3or fewer baserunners in at least 7.0IP (Scott Lewis, 9/10/2008 @BAL) in his debut...Did not get a decision on July 31in Toronto...Was an emergency start on 3-days rest after Jake Westbrook was traded to the Cardinals earlier in theday...ND, 5.1IP, 4H, 1R/ER, 2BB, 5K, HR to Molina....Pitched his first career CG on Sept. 24 vs. Kansas City...9.0IP, 4H, 3R/ER, 2BB, 6K, HR, 112 pitches/75 strikes...Overhis last 7 starts from August 27th -on he went 5-1 w/a 5.06 ERA (42.2IP, 44H, 24ER, 12BB, 28K)...Won 3 straightdecisions (4GS) from August 27-Sept 14 and won his last 2 starts to finish the season...Among AL rookie pitchers wasT4th in wins (6), 6th in GS (12) and innings (73) and 9th in K...LHH had a .682 OPS off him and hit just .236 at the bigleague level...Allowed only 2 steals against 3 CS...Batters hit .300 (30-100) off him w/runners on base...Tribe Record:7-5 (.583)...Tribe avg. RS in GS: 4.5 (54RS/12GS)....Tossed at least 5.0 innings in each of his first 12 career starts becoming just the 2nd Indian pitcher since 1920 tohave started their career with that such streak: Steve Dunning went 3-5 w/a 4.08ERA in his 12G streak during 1970. Spent the season at AA Akron where he led the Eastern League in wins (14), was 2nd in strikeouts (125) and 2ndin WHIP (1.21)...Led the system in wins, was 4th in SO and 5th in IP (145.0). Spent the majority of the season with the Kinston Indians of the Class A Advanced Carolina League, making onespot start (6/3) with the Buffalo Bisons of the Triple-A International League...With Kinston, went 9-5 with three saves in40 games...Made nine mid-season (5/12-7/11) starts after returning to relief role at start of season following 2007...Was5-3, 1 save, 3.83 (56 1/3 IP) before the All-Star break and 4-2, 2 saves, 1.94 (46 1/3 IP) after...Went 7-2, 3 saves, 2.38in 53 innings of relief and 2-3, 3.62 over 49 2/3 innings in his nine starts...Won a six-inning, one-hit complete-gameshutout 6/28 vs. Frederick...Did not allow a run in seven consecutive outings 8/16-30, allowing just four hits and fourwalks and striking out 17 over 10 2/3 innings...Following the regular Minor League season, joined the Surprise Raftersof the Arizona Fall League...Was a mid-season Carolina League All-Star. Began the season and spent the majority of it with the Lake County Captains of the Class A South AtlanticLeague...Made a spot start 6/5 and ¿ ve August appearances with the Kinston Indians of the Class A Advanced CarolinaLeague...Combined to go 11-4 over 131 1/3 innings as his 3.36 ERA ranked fourth among Indians Minor Leaguersand he tied four others for the fourth-most most wins...With the Captains, went 10-3 with a 3.30 ERA in 26 games (15starts), striking out 89 and walking just 19 over 103 2/3 innings...Was 6-0, 3.06 (53 IP) before the All-Star break andwas an SAL mid-season All-Star. Was first in the New York-Penn League in games started (15), second in wins (8-2) and third in ERA (2.09) inhis first professional season with the Mahoning Valley Scrappers of the Class A New York-Penn League...Was anNYPL All-Star selection. March 28, 2019 Atlanta Braves selected the contract of RHP Josh Tomlin from Gwinnett Stripers. 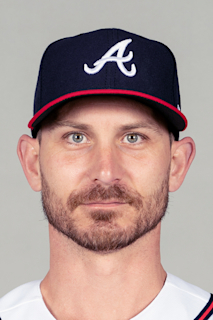 March 26, 2019 RHP Josh Tomlin assigned to Gwinnett Stripers. March 21, 2019 Atlanta Braves signed free agent RHP Josh Tomlin to a minor league contract. February 15, 2019 RHP Josh Tomlin assigned to San Antonio Missions. February 7, 2019 Milwaukee Brewers signed free agent RHP Josh Tomlin to a minor league contract and invited him to spring training. October 29, 2018 RHP Josh Tomlin elected free agency. August 23, 2018 Cleveland Indians activated RHP Josh Tomlin from the 10-day disabled list. August 13, 2018 Cleveland Indians sent RHP Josh Tomlin on a rehab assignment to Columbus Clippers. August 8, 2018 Cleveland Indians sent RHP Josh Tomlin on a rehab assignment to Akron RubberDucks. August 3, 2018 Cleveland Indians sent RHP Josh Tomlin on a rehab assignment to Columbus Clippers. July 10, 2018 Cleveland Indians placed RHP Josh Tomlin on the 10-day disabled list. Right hamstring strain. September 1, 2017 Cleveland Indians activated RHP Josh Tomlin from the 10-day disabled list. August 25, 2017 Cleveland Indians sent RHP Josh Tomlin on a rehab assignment to Mahoning Valley Scrappers. July 31, 2017 Cleveland Indians placed RHP Josh Tomlin on the 10-day disabled list. Left hamstring strain. August 20, 2016 Cleveland Indians activated RHP Josh Tomlin. August 17, 2016 RHP Josh Tomlin roster status changed by Cleveland Indians. August 15, 2015 Cleveland Indians recalled RHP Josh Tomlin from Columbus Clippers. August 15, 2015 RHP Josh Tomlin roster status changed by Cleveland Indians. July 31, 2015 Cleveland Indians optioned RHP Josh Tomlin to Columbus Clippers. July 31, 2015 Cleveland Indians activated RHP Josh Tomlin from the 60-day disabled list. July 20, 2015 Cleveland Indians sent RHP Josh Tomlin on a rehab assignment to Columbus Clippers. July 14, 2015 Cleveland Indians sent RHP Josh Tomlin on a rehab assignment to Mahoning Valley Scrappers. July 10, 2015 Cleveland Indians sent RHP Josh Tomlin on a rehab assignment to Akron RubberDucks. July 5, 2015 Cleveland Indians sent RHP Josh Tomlin on a rehab assignment to AZL Indians. April 10, 2015 Josh Tomlin roster status changed by Cleveland Indians. April 5, 2015 Cleveland Indians placed RHP Josh Tomlin on the 15-day disabled list retroactive to March 29, 2015. Recovering from April 2015 right shoulder surgery. September 3, 2014 Cleveland Indians activated RHP Josh Tomlin from the paternity list. August 31, 2014 Cleveland Indians placed RHP Josh Tomlin on the paternity list. August 5, 2014 Cleveland Indians recalled RHP Josh Tomlin from Columbus Clippers. July 26, 2014 Cleveland Indians optioned RHP Josh Tomlin to Columbus Clippers. May 6, 2014 Cleveland Indians recalled Josh Tomlin from Columbus Clippers. March 26, 2014 Cleveland Indians optioned RHP Josh Tomlin to Columbus Clippers. October 4, 2013 Josh Tomlin roster status changed by Cleveland Indians. October 2, 2013 Cleveland Indians reassigned RHP Josh Tomlin to the minor leagues. September 3, 2013 Cleveland Indians recalled RHP Josh Tomlin from Columbus Clippers. August 25, 2013 Cleveland Indians reassigned RHP Josh Tomlin to the minor leagues. August 22, 2013 Cleveland Indians sent RHP Josh Tomlin on a rehab assignment to Columbus Clippers. August 16, 2013 Cleveland Indians sent RHP Josh Tomlin on a rehab assignment to Akron Aeros. August 11, 2013 Cleveland Indians sent RHP Josh Tomlin on a rehab assignment to Lake County Captains. August 7, 2013 Cleveland Indians sent RHP Josh Tomlin on a rehab assignment to Akron Aeros. August 4, 2013 Cleveland Indians sent RHP Josh Tomlin on a rehab assignment to Lake County Captains. August 1, 2013 Cleveland Indians sent RHP Josh Tomlin on a rehab assignment to Lake County Captains. July 26, 2013 Cleveland Indians sent RHP Josh Tomlin on a rehab assignment to AZL Indians. February 15, 2013 Cleveland Indians placed RHP Josh Tomlin on the 60-day disabled list. Recovering from August 2012 Tommy John surgery. November 2, 2012 Josh Tomlin roster status changed by Cleveland Indians. September 9, 2012 Cleveland Indians activated RHP Josh Tomlin from the 60-day disabled list. August 14, 2012 Cleveland Indians placed RHP Josh Tomlin on the 15-day disabled list retroactive to August 13, 2012. Right elbow inflammation. May 28, 2012 Cleveland Indians activated RHP Josh Tomlin from the 15-day disabled list. May 12, 2012 Cleveland Indians placed RHP Josh Tomlin on the 15-day disabled list retroactive to May 8, 2012. Sore right wrist. November 2, 2011 Cleveland Indians activated RHP Josh Tomlin from the 60-day disabled list. September 25, 2011 Cleveland Indians transferred RHP Josh Tomlin from the 15-day disabled list to the 60-day disabled list. August 26, 2011 Cleveland Indians placed RHP Josh Tomlin on the 15-day disabled list retroactive to August 25, 2011. Right elbow soreness. July 27, 2010 Cleveland Indians selected the contract of RHP Josh Tomlin from Columbus Clippers. April 8, 2010 Josh Tomlin assigned to Columbus Clippers from Cleveland Indians. September 4, 2009 Akron Aeros activated RHP Josh Tomlin from the 7-day disabled list.